Since a good Mac music player is vital to listen to audio music MP3 on Mac computer, we compiled five best music players for Mac that can be used as iTunes alternatives to play Soundcloud, Pandora, Spotify, Last.fm and Mixcloud MP3 music on Mac (Mac OS X/High Sierra). Just read on and find yourself the most stable and reliable one! 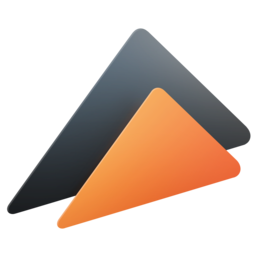 Reliable as it is, 5KPlayer - a high quality free music player Mac is the key to free play and download music from Soundcloud, Pandora, Spotify, Last.fm and Mixcould on your Mac, be it in MP3, AAC, AC3, WMA, M4A, FLAC, or OGG format. Just try this robust music MP3 player Mac to hear the world's sounds! In this part, all the 5 best music players for Mac we selected are reviewed based on their key features, price, as well as ease of use! It can be said with certainty that all of them can replace the default iTunes application with something better for the single act of music playback. 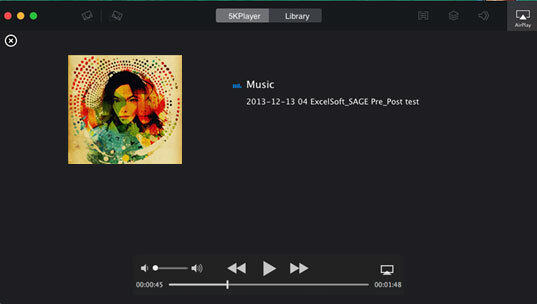 5KPlayer is a cross-platform video music player software with a razor-sharp focus on high quality music playback. 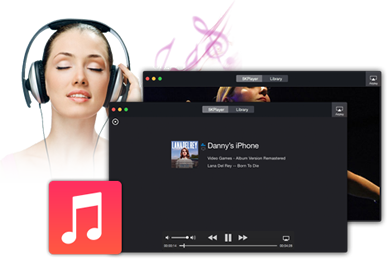 It seamlessly deals with existing iTunes content no matter it is MP3 AAC FLAC songs, MP4 music videos, or audio CDs. Also, this Mac music player supports Soundcloud, Pandora, YouTube, etc music streaming to Apple TV anytime. * Multifunctional music downloader, Airplay server, radio player. Vox is a very simple Mac music player supporting all music formats with an intuitive interface. Elmedia Player from Eltima is a classy music player for Mac with the ability to play all audio formats, including FLAC, OGG, etc. * Offer a user-frinedly interface with smart design. * "Pause" option does not work for some non-proper Flash movies. 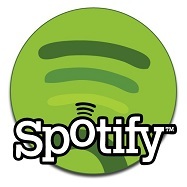 Spotify is a music player Mac freeware playing and providing massive music catalog. Ecoute is a useful music player Mac software resembling iTunes with Last.fm integration. How to Play Music with Best Free Music Player for Mac-5KPlayer? 5KPlayer allows you to play MP3, AAC, WMA, WAV, AC3, FLAC, OGG audios smoothly. You can pause, fast forward and skip the playing tune at free will. Step 1. Download and launch this free music player for Mac. Step 2. Import the music file for playing. 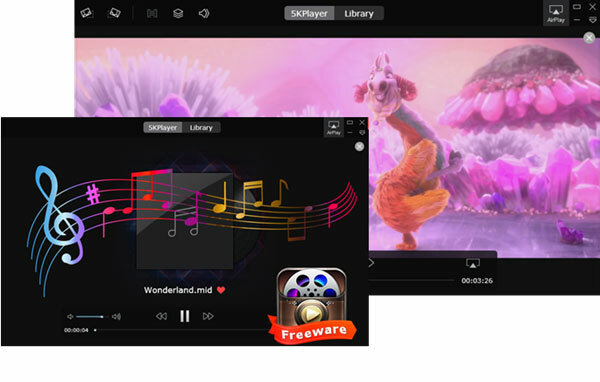 Besides a music player for Mac, 5KPlayer also performs as an outstanding HD video player and video music downloader with 300+ supported sites. Moreover, it enables you to seamlessly stream music from iPhone/iPad/Mac to airplay speakers to share your favorite songs with families and friends. Read this review about the best free 5 music player apps for iPhone 8/7/6S/SE/6 and download the best iOS 10 music player. What's The Best Audio Player for Mac OS X? What would be the best OS X audio player? Where can I free download this audio player for Mac? Here is the answer.